Are you feeling crafty for the upcoming holidays? 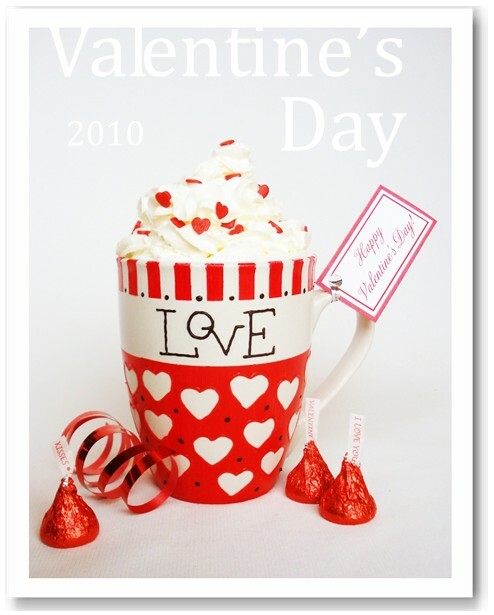 Mini Valentine Banner: This adorable banner would make a lovely Valentine decoration for your home. This little banner uses simple embroidery stitches that are very easy to do. This mini banner is the perfect size to hang on your door, in your kitchen, on your banister, or just about anywhere! Cookie Dough Treats: These treats are one of our sweetest homemade Valentine ideas. They are made of cookie dough and then shaped into hearts. These treats would be perfect for a party or to hand out to friends or family. This is also a fun project for kids. So if you have been looking for some Valentine crafts for kids, this would be a great activity for you and your kids to do together. Painted Coffee Mug: Homemade Valentine gifts are more special to receive because they come from the heart, and this painted coffee mug would make a wonderful gift. You could be very creative with this project by painting any design you can imagine. But if you like our design, we have provided the instructions so you can easily create this same design on your coffee mug. 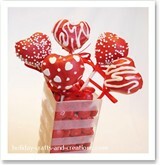 For more Valentine crafts, please visit Holiday Crafts and Creations. We are still working on more projects for Valentine's Day, so keep checking in from time to time! And don't forget to leave a comment on your favorite project. We love to hear what you have to say! If you use bottles of acrylic paint for any of your craft projects, here is a great tip to help you out. Always store your paint bottles upside-down. By storing them upside-down, you won't have to worry about that glob of paint drying in the spout and clogging things up. This also will help keep the paint from sputtering when you first pour some out. This is an especially good way to store your paint if you don't use it very often. A small cardboard box or shoe box is a great container for storing your paint upside-down, but you can also buy stands or organizers in which you can store them upside-down. These could be found at most craft stores. Either way, it is helpful to store them in something, as they may easily fall over or possibly leak when upside-down. As a member of our Feeling Crafty newsletter, you will receive a BUY 1 GET 1 FREE discount every time you shop at our store. This discount is offered to our newsletter members only. Buy 1 and get 1 of equal or lesser value for free! Purchase any 1 item in our shop and include in your message to the seller at checkout which second item (of equal or lesser value) you would like us to email you for free. Also include this month's discount code: heartsxoxo14 in your message at checkout. The discount code is valid until the next newsletter goes out. Please DO NOT place the free item into your cart because we cannot refund the second item if you do. So What's In Our Store? This card is one of the items from our new Etsy store at copperkiwidesigns.etsy.com. As a member of our Feeling Crafty newsletter, you get our featured Valentine's Greeting card from our store for FREE! To get your card for free, click here , then click the greeting card button and enter this month's password. Then just print as many cards as you like and ENJOY! Don't forget to become a fan of our page on Facebook! There you can find all the latest updates on our site, and share pictures and ideas. So if you use Facebook often, this is a great way to keep up on the our most recent ideas! Look for our next newsletter, which will be e-mailed on Feb 15th.